Have a great content or blog? You have come to the right place. A/X Publisher also known as Art Xtedia, has thousands of visitors daily. We publish and distribute your contents to other popular sites and social media. Our demographics vary from age 25-38 covering 54% of women and 46% of men from US, Australia, Canada & UK. A/X Publisher's mission is to help you align with your creative purpose be it in literature or the visual arts. What makes us unique is our magazine's visual and clean layout. Your content will make our site more interesting, and, in return, you will see an increased in your website traffic; it's a win-win for everyone. To find out more, click here and learn why you should become a guest blogger and contributor. This free self publishing we are promoting, initially requires 3 contents submissions upon registration. Subsequently you may contribute as many or as few as you prefer. They must consist of a min. of 950 words, 1 backlink, and 3 high quality photos . A/X Publisher may ask for resubmission in some cases because we have minimal time to edit free contents. It gets published periodically within several weeks depending on the days we have available for each of your articles. We also have our paid options where you as a content marketer can insert as many as 10 backlinks and see your content published within 24 hours. This will allow you to place all your client's URL in one content! We also have great features like editorial services, viral marketing and Facebook advertising. These upgrades can help boost your Google ranking and site traffic for better SEO. It is definitely worth considering as part of your sales and marketing success. Follow these 5 simple steps and you'll be well on your way to guest posting with us. Step 1. Click on Register Here with your gravatar.com email (compulsory). Step 2. You will receive an email confirmation and activation to change your password. Step 3. Instructions For Blog Submissions will be emailed so please check all your folders. Step 4. Like and follow us on Facebook A/X Publisher (compulsory). Articles may be removed otherwise. Step 5. Follow the prompts and submit; within 48 hours once we publish please share on social media permanently. We would need this emailed to us. After these initial ground work, the process becomes very easy as you collaborate with us long term! 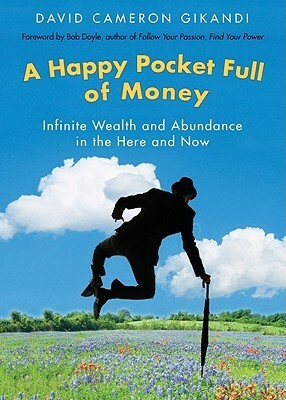 You will also receive a free pdf copy of "A Happy Pocket Full of Money" book by David Cameron Gikandi. Thank you and we look forward to a long term relationship in promoting and helping you shine within our community. For any inquiries please email us and we will aim to reply as soon as possible.